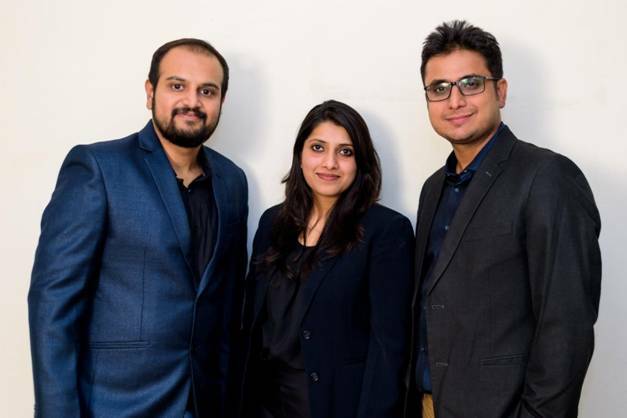 Founders: Vikash Agarwal, Shruti Agrawal, Siddharth Jain. Vikash Agarwal, together with his childhood friend, Siddharth Jain started some primary research to understand why the concept of “investing” was so shallow amongst Indians. A good look around revealed that Indians mostly used to save in Fixed Deposits and invest in physical assets such as Gold and Real Estate. It did not take much thought for the Ranchi based Chartered Accountants duo to out their rich insights to use by establishing CAGRfunds in August 2015. Launched from a 100sqft space in Khar, Mumbai, CAGRfunds had a humble start when Vikash and Siddharth started advising his friends and family on why it was inevitable to allocate wealth with an asset allocation approach. As trust started taking shape with the distribution of investment solutions, the online platform was launched in 2016 to make the investing experience paperless, convenient and quick. In 2018, the founding team was joined by Shruti Agrawal, a childhood friend of the founders. Shruti, a CFA, and MBA from MDI Gurgaon brought to the table her rich 7-year corporate experience of finance and strategy. How is CAGRfunds different from other wealth managers in the industry? Unlike a lot of funded startups in the space, the founding team of CAGRfunds has taken a conscious decision to run their current business as a bootstrapped venture. 2 years into the business, the team realized that while having a seamless digital platform was a good way to democratize investments, the clients were truly getting benefitted by the advisory that was being delivered to them. A client relationship approach enabled the team to understand the scale and depth of the client’s problems and thus deliver a customized solution basket. The team was therefore not only suggesting the most suitable funds to invest in but was also suggesting to its clients if they should continue with X Policy or invest in Y Plan. While this business model poses scale-up challenges, it enables the team to establish a very robust clientele who are associated with the company for the personal human touch and a trustworthy wealth management experience. The strong client relationship reflects in the fact that more than 90% of growth in the company has come through unpaid referrals. Not to mention, that the company boasts of a retention ratio of over 90% which is indeed a strong moat in an industry that is marked by mis-selling by agents and lack of trust. In 2017, the team launched “RISEWISE”, an initiative to conduct education and awareness programs for employees in Corporates. The objective of this initiative was to help people take a step back from products such as Mutual Funds and Endowment Plans and develop a broader perspective of how financial planning is not just about generating high returns over the next 2-3 years. Having conducted over 70 sessions so far, CAGRfunds is now conducting a series of workshops across the likes of Reliance Industries, Tata Communications, and several other large scale companies. What are some of the challenges faced by the company? The key challenge being faced by the team is information overload due to easy access to digital information sources. While growth in mutual fund inflows has resulted due to mass circulation of campaigns such as “Mutual Funds Sahi Hai”, it has also resulted in investors making unmindful bets with their money. Someone who needs their funds in 2 years ends up investing in risky small-cap funds just because 1-year historical returns are over 25%. On one hand, while awareness of products is increasing, awareness of the tendency of falling into one’s own behavioral biases is missing. And a lack of understanding of the biases that govern some of our key financial decisions results in poor wealth creation experiences. This asymmetry forces the team to spend a disproportionate amount of time in educating its clients to avoid financial blunders. In order to contribute towards creating more awareness, Shruti actively answers questions around “money and money management” on public forums such as Quora and Sheroes. What is the future vision of the company? the real value adds of CAGRfunds to its clients is being a one-stop shop for all money related needs. Access to platforms for executing transactions is no more a challenge. However, a suitable and trustworthy advisory is still a missing gap in this industry. While financial advice has been around for decades, it has so far been limited to the HNIs and UNHIs of the world. The luxury to have access to a Financial Planner is still a very elite concept in India. With a captive client pool, lean team structure, in house proprietary platform and experts with a core finance background, CAGRfunds founders now seek to venture into full-scale financial planning services, Insurance, and other financial services solutions. They target to on-board 500 families within the realm of their advisory services in the next 5 years. Additionally, Shruti being one of the very few women financial planners in the country is working on ideas to encourage more women to be a part of the mainstream financial decision making. As an active member of multiple women led communities, she runs an initiative called “CAGR for Her” which focuses on creating awareness around why women need to take the front seat, alongside the spouse/father while driving the family finances. She has also been involved in conducting women specific workshops across corporates. Having personally experienced the limited role of women in financial planning for the family, she targets to impact 10,000 women in charting out their journey of financial independence over the next 3 years. 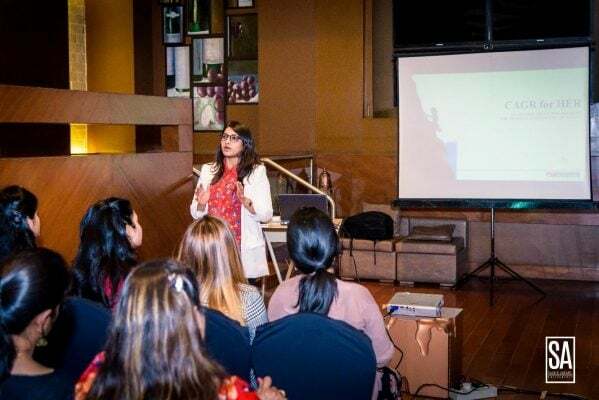 On the occasion of Women’s Day 2019, Shruti conducted a financial planning workshop for over 40 women at DoubleTree by Hilton, Gurgaon.